In a flat dish, mix together the breadcrumbs, herbs, spices and seasoning. 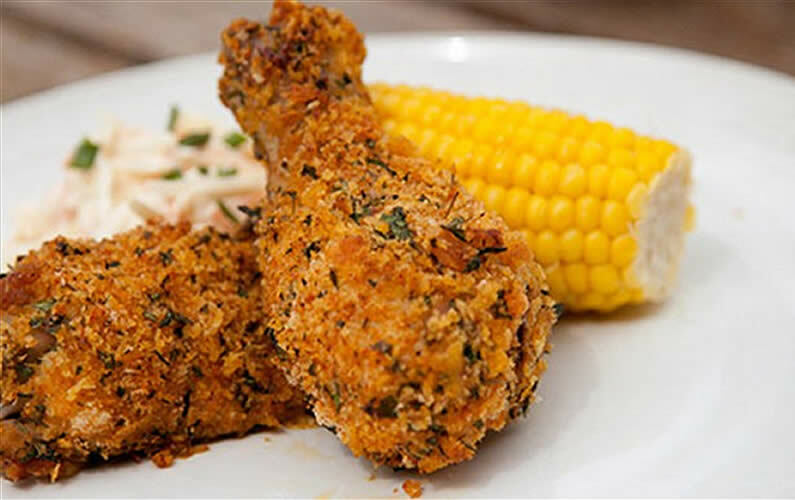 Coat the chicken portions in the seasoned flour, then dip in the beaten egg, coat thoroughly with the breadcrumb mixture and place on a baking sheet. Drizzle with the oil and bake in the oven for 35-40 minutes, turning once, until the crumb is crisp and the chicken cooked thoroughly. Serve with buttered corn cobs and coleslaw.